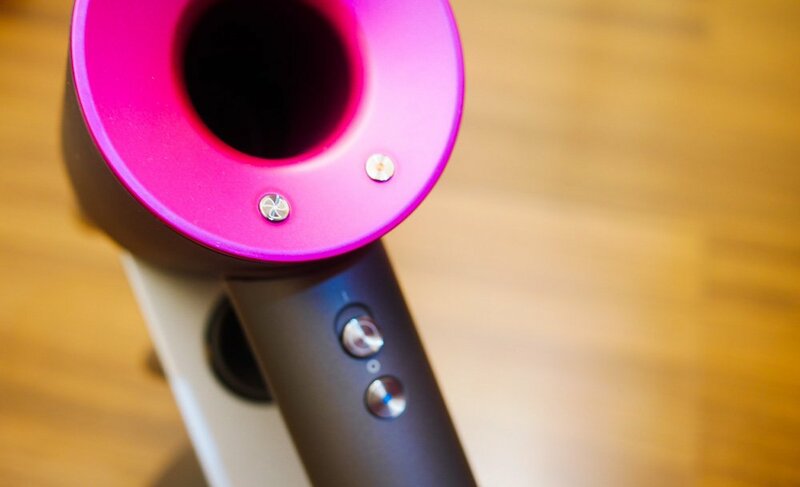 Dyson Supersonic hairdryer made me fall in love with blowdrying my hair. And I swear this is not an overstatement. The Supersonic hairdryer retails for SGD599 and the stand, SGD128. It sums up to be a hefty SGD727. And though I’ve always wanted the hairdryer, I just couldn’t justify spending 500+ on it. Sure, I’ve heard great reviews and the general consensus is very positive. However, that still wasn’t enough for me to cave in. Eventually, my fiance got me the Supersonic for Valentine’s as a last-ditch effort to stop my procrastination with blowdrying my hair. And it worked! 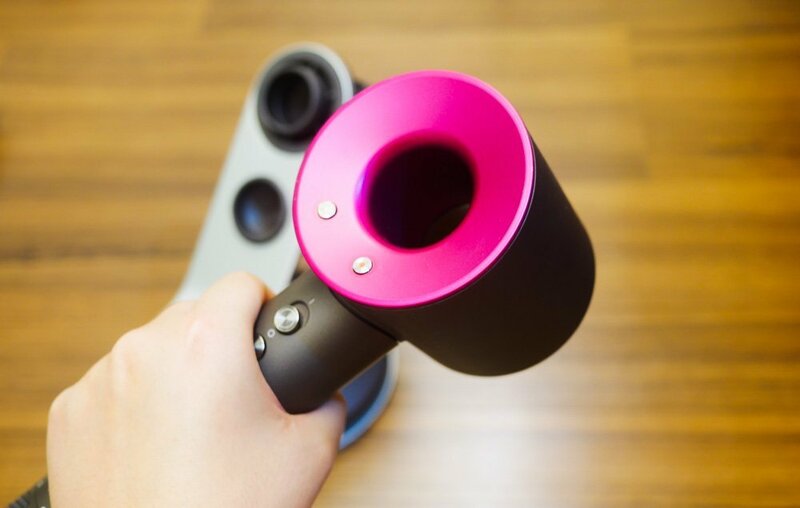 I hardly procrastinate nowadays because the process with Dyson Supersonic hairdryer feels more like a spa treatment, rather than a hair-damaging torment. You can adjust both the heat and power to your liking. When I tried the hairdryer for the first time, the most noticeable difference from my old 1800W hairdryer was the airflow. Air is being pushed out at a super high velocity and it’s so intense that I feel like it pelts the hair into my face. Not my favourite part of the experience but it sure helps to dry your hair quickly. I did a test to make sure I wasn’t delusional (albeit the test being a tad slipshod). In the video, I placed a tissue packet about 1.5m away from the hairdryer. Dyson, on medium strength setting, easily sent the tissue packet flying. On the other hand, the tissue didn’t even budge with my old hairdryer even though I cheated a little and inched the hairdryer closer to the tissue. The thing I hate most about traditional hairdryers is the heat. I feel as though I’m roasting my hair, as if my hair is not charred enough. I also (stupidly) bought a round brush which was made of some metallic material and the core of the comb conducts heat so I have to be extra careful to make sure I don’t scald my neck or scalp when using the brush with my old hairdryer. With Dyson, I noticed that the temperature of the air is not as high. My round brush doesn’t heat up that much anymore. And my hair doesn’t feel fried. 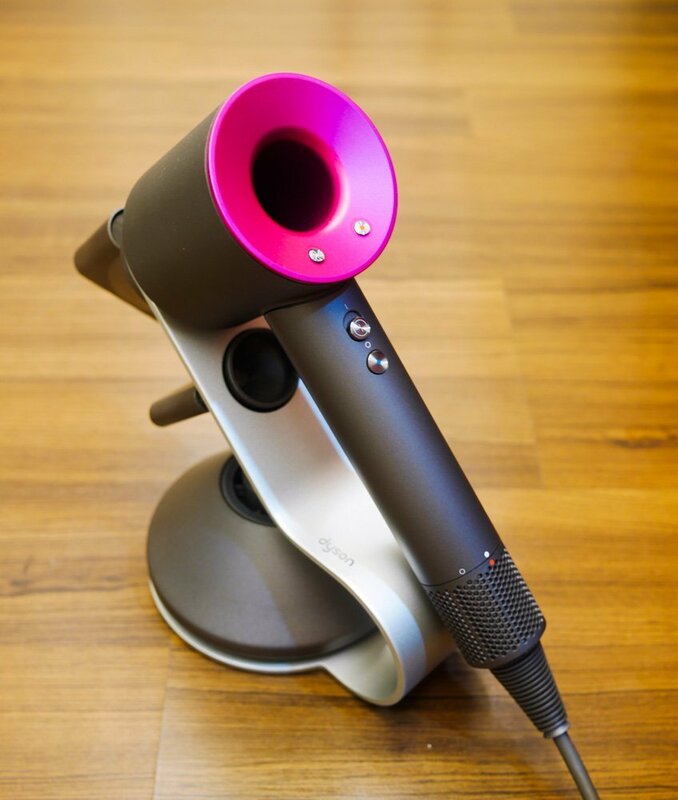 Yet, when combined with the strong airflow, Supersonic does an impressive job of drying your hair quickly. I dried half of my hair with Supersonic in 2 minutes and 43 seconds on medium heat setting. The other half was blown dry with the old hairdryer in 3 minutes 43 seconds. And that is after letting my hair dry naturally for a while, while I was blowdrying the other half with Dyson. I’ve never appreciated attachments before Supersonic. They were troublesome to use and odd shapes to keep. With Dyson, the attachments are magnetic, so you can just snap them onto the hairdryer. Storing the attachments is also incredibly convenient with the stand; the attachments go on magnetic as well, except the largest round attachment which will sit nicely on the base. I used to wonder why Dyson had to reinvent the shape of the hairdryer. If it ain’t broken, why fix it? It only dawned on me weeks later that the new shape actually made it easier and more effortless to hold up. It’s lighter, and without the long ‘barrel’, balances better on the handle. 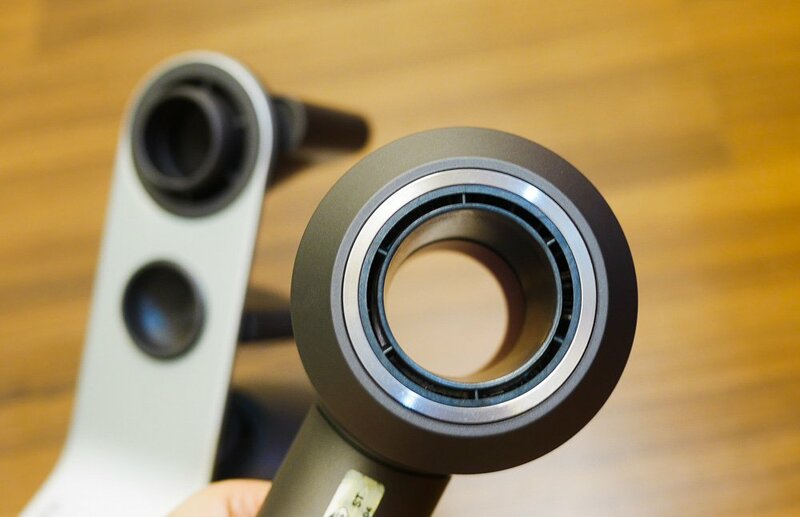 As with the Dyson bladeless fan, they made the hairdryer ‘hollow’, so no more pesky buildup of dust at the back of the hairdryer. In short, the Dyson Supersonic hairdryer is pretty awesome. Admittedly, the price is a major deal-breaker for most. Like really, half a thousand for a hairdryer?! Honestly, if I didn’t had the chance to try it on a daily basis, I wouldn’t even think of purchasing. Buy it! Only if it doesn’t burn a hole in your wallet and you don’t have to scrimp and save on other essentials. Despite my grouse about the price, it has proven to be a good (and practical) investment so far and the make and quality of the device feel really premium, living up to its price tag. I also highly recommend the stand if you have the moolah because it makes storing and using the attachments a breeze. Save a little money by buying the Dyson Supersonic Hairdryer + Stand on Lazada (it’s cheaper than the retail price! ).